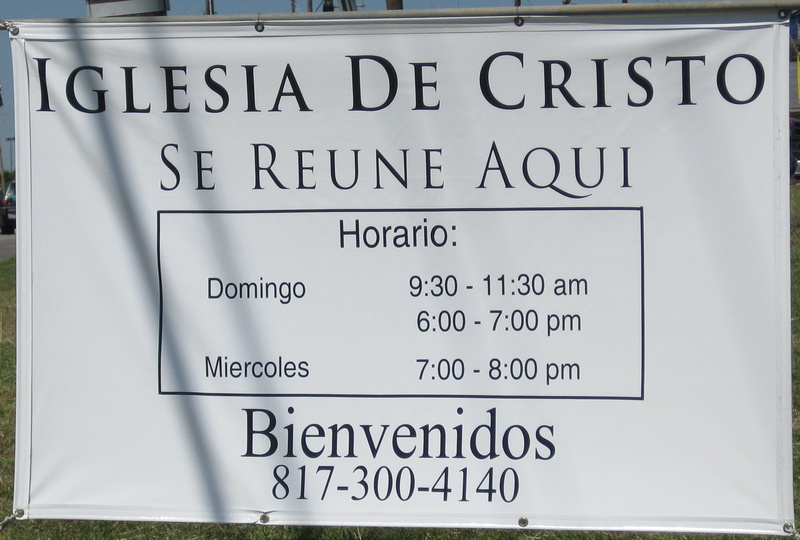 The Azle Iglesia de Cristo is a family. We are a group of 35-40 people who meet every Wednesday and Sunday and love spending time together studying God’s Word. Our ministry started 12 years ago. We have had the opportunity to grow in the knowledge of Scriptures and we have had approximately 25-30 baptisms in that period of time. Most of those souls who were added to the body of Christ are part of the Church currently, others moved to another congregation in the area. The Lord has blessed this ministry since its beginning. We strive to follow the example of our Lord Jesus Christ in the same way the Church in the first century did. Nowadays it is easy to focus on earthly things, but we understand that our mission is to be the people God wants us to be. There is a great need of salvation in the world and we are called to be God’s hands and feet to go and preach the gospel of salvation to all creation. If you join our services you will find a group of people united by the same goal and purpose in life, that is worshiping the Lord above all things and giving Him all the glory He deserves. Please feel free to come and meet with us whenever you would like and also extend the invitation to any Spanish speaking family you might know. What a joy it is to be part of the Church that Christ bought with His own blood!